Attorney Steven J. O'Neill has more than 27 years of arbitration, litigation and counseling experience. His extensive legal experience ranges from small firm practice to serving as Senior Associate at Thelen Reid, at the time the 70th largest U.S. law firm, to Partner at Bowditch & Dewey, a major New England law firm. During his long career he has represented various businesses, government entities, contractors, design professionals, manufacturers and others including individuals, publicly traded corporations, and universities. He has handled hundreds of matters ranging from business deals to arbitrations and multi-million dollar litigation. Mr. O'Neill has provided legal representation to clients in areas such as: commercial litigation; arbitration; commercial leasing; bid protests; residential, commercial and industrial real property development; construction defects; government contracts; boundary disputes; fraud; employment; creditors in bankruptcy; business formation, shareholder relations & dissolution in closely held entities; due diligence; ADA compliance; and the purchase and expansion of businesses. Technology Law - In the course of representing clients in complex litigation, Mr. O'Neill has made extensive use of computer tools such as relational databases, document review software, and forensic software. Mr. O'Neill has also guided clients regarding complex legal and technological aspects of electronic evidence or eDiscovery. He has written and lectured widely on electronic evidence discovery, document retention policies, information governance, information security, privacy, and the legal aspects of emerging technologies. He has advised medium and large companies as well as government entities on electronic records retention and destruction policies, legal hold, litigation readiness, and information security, as well as structuring contracts with IT vendors as part of compliance initiatives. In recognition of his active interest in the legal aspects of technology, in 2006 Mr. O’Neill was appointed to the Emerging Technology Law Committee of the Transportation Research Board (TRB). The TRB is one of six major divisions of the National Research Council - a private, nonprofit institution that is the principal operating agency of the National Academies in providing services to the government, the public, and the scientific and engineering communities. The National Research Council is jointly administered by the National Academy of Sciences, the National Academy of Engineering, and the Institute of Medicine. In 2012 he was reappointed to the TRB for a third three year term. Construction Law - Mr. O’Neill brings a wealth of industry experience to the practice of construction law. His career serving the construction industry spans over 42 years, first as a builder producing institutional, commercial and high-end residential projects, followed by many years of experience as a construction lawyer representing contractors and organizational owners. 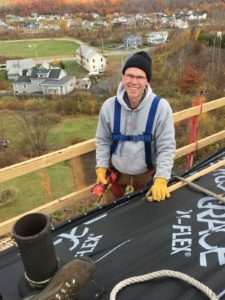 He has real-world knowledge of construction practices and techniques, technical understanding of national building, mechanical & energy codes, and varied experience in the business management of construction firms. With this focus on construction industry issues, Mr. O’Neill is able to draw on decades of experience and training to cr aft an appropriate legal solution. 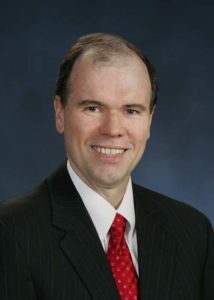 Mr. O'Neill has represented clients in construction related matters such as: breach of contract; construction defects; design errors; schedule disputes; collections; lien rights; defective roofing materials; owner interference claims; public owner specification disputes; termination for default; construction easements; disputes related to construction on Tribal lands; project documentation; minority business enterprises; bond claims and others. See a partial listing of the types of legal matters he has handled.